Gerberas, chrysanthemums and yellow roses, green and ears of wheat. 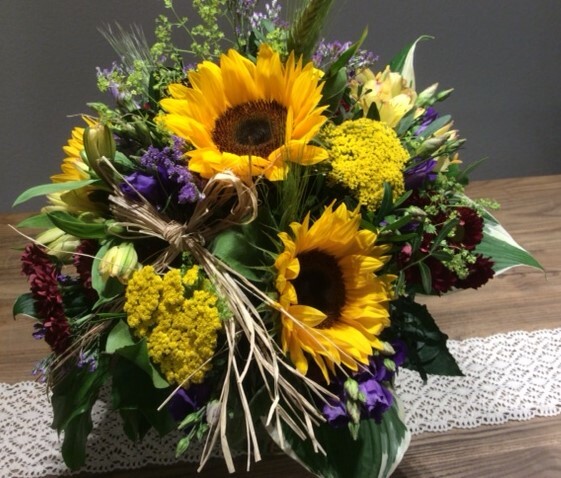 Sunflowers, alstroemeria, achillea, lisianthus and variety of green. Bouquet of white roses, gypsophilla and green. 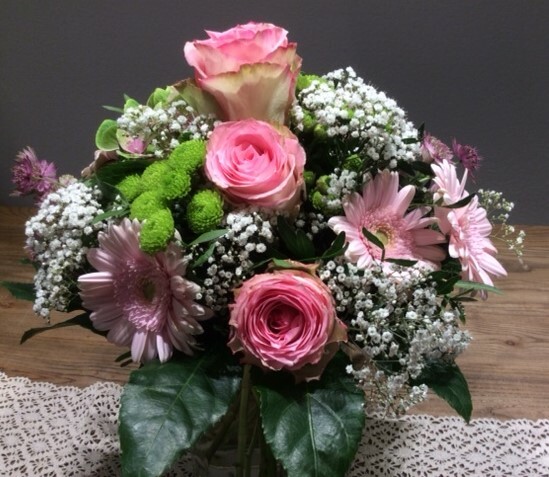 Bouquet with pink roses, green chrysanthemums, gypsophila and green. Beautiful bouquet with lilium orientalis and green. Bouquet with white lily, gypsophilla and Greens. Spectacular red roses that say it all.